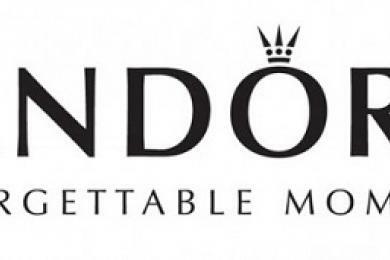 POSTED: Tue, 08/26/2014 - 05:00 | POSTED BY: Traci C.
The announcement of a new "strategic alliance" between The Walt Disney Company and PANDORA Jewelry goes beyond bracelets and beads. The partnership also brings with it PANDORA's sponsorship of the Wishes fireworks at the Magic Kingdom beginning this fall. And in 2015 the jewelry company will also become the presenting sponsor of the Tinker Bell Half Marathon at Disneyland. "To say that PANDORA is excited about our relationship with Disney is an understatement," said Scott Burger, President, PANDORA Americas. "Having a presence in the theme parks gives the brand another opportunity to engage with families and play a significant role in both the big and small moments of their lives." The new Disney-inspired PANDORA collection arrives at PANDORA retail stores in November 2014 and includes 25 different styles of sterling silver and 14K gold charms. Another 16 styles of charms will be available at Disney merchandise locations in Walt Disney World and Disneyland. The charms will also be found at Disney Vacation Club properties and on the Disney Cruise Line ships. And, Uptown Jewelers at the Magic Kingdom and La Mascarade d'Orleans at Disneyland will both unveil PANDORA retails stores. Does that mean that the relationship with Camilia beads is ceasing? When will Pandora release pictures & prices of the charms? We'll be going to WDW in December & I would like to plan my budget to buy at least two. I know they'll be high but beautiful!! !